“It’s the 50th anniversary of John Carroll admitting women full-time, making it a co-educational institution,” said Doan Winkle, chair of entrepreneurship and director of the Muldoon Center for Entrepreneurship. John Carroll began admitting women to the University as full-time students in August 1968. Prior to their full admittance to the University, women were allowed to take courses at night or on a part-time schedule. In order to celebrate the 50-year anniversary, Winkle, Madeline Tobolewski ‘20, Julie Whitmore ‘20, Molly Killeen ‘20 and Katie O’Connell ‘19 have worked alongside staff and faculty to create a weekend of events that empower and recognize women. This weekend is planned for March 22-24. 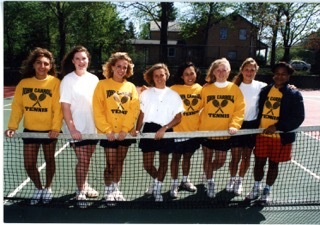 The activities scheduled are meant to appeal to a wide variety of people, so that everyone may learn about the impact women have had at JCU, in the Cleveland area and beyond. “We want to be including the men because we want them to understand the importance and the value of having women here too,” said Tobolewski. The idea for the celebration began when Winkle created a group called the Women’s Entrepreneurship Student Advisory Council, which gives women the opportunity to undertake entrepreneurship endeavors. When the council met last semester, they decided to take on the 50th anniversary celebrations. Tobolewski explained, “I happened to know that it was the 50th anniversary of women at John Carroll. Julie and I worked at the Reunion Weekend this summer, and some of the women were telling us how they were some of the first women to go to John Carroll.” Because of Tobolewski’s and Whitmore’s knowledge of this milestone, the group decided to spearhead the planning of the celebration and get more people on campus to become aware of this important anniversary. Winkle, Tobolewski and Whitmore gave some details as to what events will be occurring in March, the month dedicated to women’s history. On March 22, there are panels scheduled to recognize women in STEM, the arts and social justice; a lunch to discuss women’s history at JCU and a workshop dedicated to women who have made a difference. On March 23, there are a variety of events planned, starting with a yoga session in the morning and concluding with a night out in Cleveland. The final day of the weekend of celebrations will have a brunch where students can speak with women in their professions and discuss their fears and expectations for joining the working world. In addition to the weekend events, the council has also implemented smaller campaigns to support and cherish women, such as the “Women at Carroll” on social media. 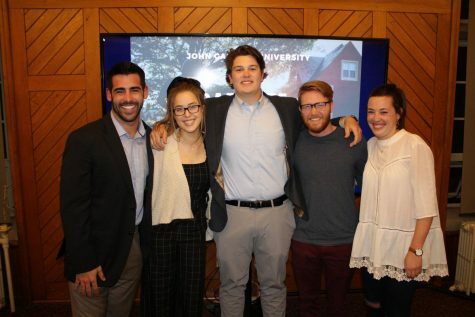 Winkle posted the link to the Medium page on Inside JCU, and women can submit their answers and be featured on the entrepreneurship department’s social media pages. Although the council’s main purpose is to support women in entrepreneurship, they decided to put a majority of their time and effort into celebrating the women of Carroll this year. “Our main focus now is the 50th anniversary,” said Whitmore. Column: Are you afraid of the dark?